A Very Michael Holiday Movie - Hypothetically Speaking . . . Hypothetically Speaking . . . I have a slight confession. 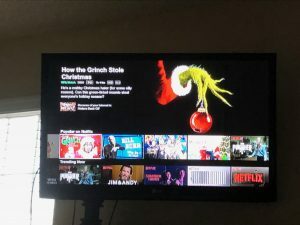 I have been watching nothing but holiday movies for the past few weeks. 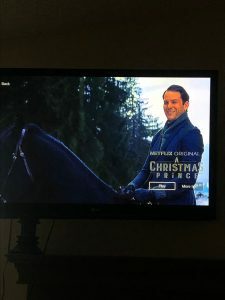 I think the Hallmark channel has me under some sort of spell or something. It is either that or Comcast has downgraded my cable package to where I only have one channel, which I would completely understand since I haven’t paid the bill in a few months. Maybe I’ll send them a check on December 25th with my warmest holiday wishes. 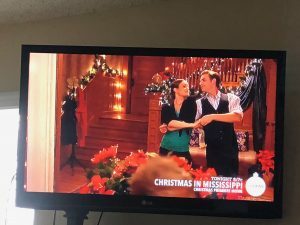 My viewing habits have gotten so bad that, if it isn’t holiday movie related, I have no idea what’s going on in the world. Was the tax bill ever resolved? Did Meghan Merkle decide on a wedding dress for her wedding to Prince Harry? If so, was it the dress I recommended? I can honestly say I haven’t checked the weather in about 38 days, which is probably why I keep dressing up in a t-shirt and shorts just to find that it’s snowing outside. I blame Santa. At this point, I think I may have watched every holiday movie ever created. Because of this, I guess you could consider me a holiday movie connoisseur. Matter of fact, I just updated my LinkedIn profile to reflect as much: Michael Rochelle, Master of Holiday Movies . . . oh yeah and MBA candidate. You never know when someone may need a holiday movie expert to speak on a panel. Oprah, I’m looking at you. Perhaps I shouldn’t set my sights so low. Because of my extensive knowledge, instead of just sitting on a panel, maybe I could write and star in the holiday movie! I can see it now, me in the lead role of “A Very Michael Christmas.” Then again, maybe I could direct and allow someone almost equally as attractive to play the lead. Maybe Idris Elba, or Zac Efron, or Ryan Gosling. I’m not sure yet. I guess it doesn’t really matter since, clearly, all four of us look alike. I may be just a bit more ruggedly handsome and buff, if I may say so myself. 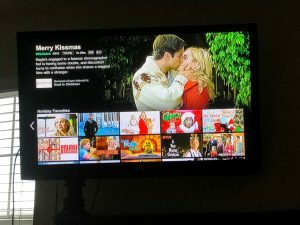 As an expert at holiday movies, I can tell you that they all seem to have the same premise. In each one, two people who don’t like each other end up slobbering each other down by the end. Actually, it could be a dog and a person that aren’t fans of each other at first, but by the end, you can pretty much bet your next paycheck that one of them is going to be having puppies soon. Another thing I’ve learned is that, in a lot of the movies, someone ends up being a prince or princess from a faraway country with a weird name. I don’t know how many real princes and princesses there are in the world, but I guess there is room for everyone to be one if their country has only 300 people. Even if the country only has ten people, the person always gets found out. TMZ is just that good. They know everything about everyone. In the last movie I watched, I think the guy was the prince of Nebraska or some other exotic place. Yeah, I’m pretty sure it was Nebraska. Maybe it was Idaho. And if the person isn’t the prince or princess of New Jersey, then you can almost guarantee that someone in that person’s family is secretly Santa Claus. Despite the beard, the name Nick, and the fact that he mysteriously disappears for several hours every Christmas Eve, everyone is shocked that he is Santa. I mean, his name is Nick for crying out loud. Why do you think he has a secret village in the garage? Who else do you know that hangs out with an entourage of elves and reindeer. Every time I meet someone named Nick, I automatically give them my Christmas wish list. Matter of fact, I have a coworker named Nick. When I first met her, I shook her hand and whispered in her ear, “I know your secret.” Several hours later, I found myself in Human Resources explaining what I’d meant. Apparently, I’d made Nick a bit uncomfortable. The words “harassment” and “blackmail” were being thrown around. The whole situation was truly unfortunate. In the end I apologized, but perhaps where I went wrong was whispering in her ear, “Good try, but I still know,” during that apology. I didn’t think it was a fireable offense, but at least I had the chance to give Nick my wish list before I was escorted off the premises. Anyway, now that it’s been decided that I will have my own holiday movie, I would make it completely different from all the other movies out there. Mine would start with someone’s purse being snatched. I haven’t decided whether I would play the purse snatcher or whether I’d be the person having his purse snatched. Until I figure it out, let’s take me out of the movie. I don’t want you to be too distracted by what role I’m playing. So, let’s just say there is a guy and a girl as the stars. Neither one of them is Michael. Because my movie is completely different, after the purse snatching incident takes place, the robber and the victim, who do not like each other at first, end up falling in love. Perhaps the robber gets caught and sentenced to 1,000 years in jail, but the victim thinks the punishment is too harsh so she agrees to marry him instead. After all, depending on your mate, marriage can be the ultimate punishment. The robber asks if he could be sentenced to death instead, but the judge believes marriage to the victim is more than harsh enough. I haven’t exactly worked out all the details just yet. After they get married, they eventually fall in love. Of course, this process is not easy. She is a Starbucks person, and he likes Dunkin’ Donuts. Every morning they fight over where to stop for coffee. It’s been a real strain on the marriage. They also can’t agree on whose Super Bowl halftime show was better, Beyoncé’s or Lady Gaga’s. He likes Beyoncé. She likes Gaga. This causes them to fight over the radio station all the time. I’m not sure why they only have one car, but maybe that was one of the stipulations of the robber not going to jail. Later in the movie comes a real shocker: The victim’s father, Nick, has been Santa all along. Although the victim didn’t know her dad’s profession, the purse snatcher catches Santa changing into his red suit in the bathroom on Christmas Eve. The whole time the victim thought her dad was a librarian. To her, the beard, the elves, and the nine reindeer in the back yard weren’t enough to give it away. Adding to the complexity, the purse snatcher is not really a criminal. No, he’s the prince of Iowa, who secretly wants to be an actor. He snatched the purse because he was preparing for a role he was trying out for as a burglar. As a prince, he didn’t know what it was like to live in the mean streets beyond his castle walls, so he wanted to experience it firsthand to bring some credibility to his acting. He eventually goes on to win an Oscar. See, my movie was completely different! Don’t worry. I will keep some of the holiday movie must-haves. Of course, there will be the obligatory dance scene. However, since I may be staring in the movie, we may have to change up the dance a bit. My momma never taught me to do the Waltz or the Tango like I had repeatedly asked her to do when I was five. Maybe she was a hater, or maybe those types of dances just weren’t allowed in Baltimore. Hmmm. That’s probably why she kept me in the house so much. She just didn’t want me to experience what would happen if I shimmied down North Avenue or Martin Luther King Jr. Boulevard doing my Singin’ in the Rain routine with the umbrella and tap shoes to go with it. Perhaps instead of the typical ballroom type dance where the loving couple ends it with a passionate kiss, in my movie, we would break out into an impromptu version of the Electric Slide. As opposed to the dance taking place at the company holiday party, we would probably do it in the office to waste time while waiting for something to print off the copier. One person would start it and everyone else would join in. Of course, we will have a Sandy who doesn’t know the dance and messes it up for everyone. It’s required. I would also include the prerequisite ice skating scene, but with a twist—literally. Maybe during the ice skating scene, instead of the leading guy and girl being able to skate amazingly even though they have never skated before in their lives, one of them falls and breaks a leg. Not one of those clean breaks that will heal in a few weeks. The leg completely breaks off and skids across the ice, knocking over three people. Because I want to keep the movie rating at a G, there will be no blood. Come on, I have a little bit of class, and I know kids may be watching. Things must be tasteful. Even though there is no blood, someone’s grandma still manages to trip over the leg. She, herself, doesn’t break a leg, but it is then that grandma got ran over by a reindeer. That poor grandma never stood a chance. Of course, the movie would be a classic. I mean, it has everything. There’s comedy, romance, mystery, and horror depending on how frightened you are by a stolen purse or a broken leg skidding across an ice rink. The leg doesn’t exactly scare me, but if my purse were stolen with my iPhone X inside, that would be a travesty. Let’s be clear, I don’t have an iPhone X or a wedding ring, but because I’m kind of sort of an actor, I can just imagine me dropping down to my knees with my fists to the heavens demanding revenge and a plague on everyone’s houses. Oh wait, I have to go. Dwayne ‘The Rock’ Johnson is calling. Apparently, no one told him that he didn’t get the lead role in my holiday movie because I got the part. I should probably break the news to him delicately. I mean, have you seen his arms? It’s ok, though. I hear he’s a professional. He’ll understand. Maybe once he gets a bit more acting experience, I’ll write him a role as my best friend in my next movie. We’ll see.